Hey! I hope you all are fine. 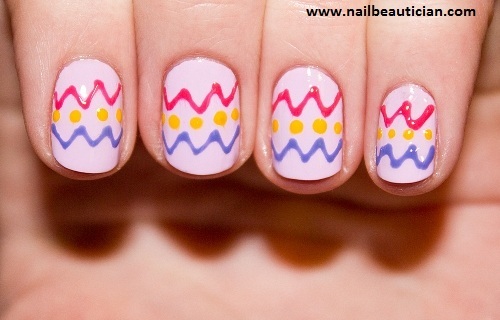 Today i select a topic that is indirectly related to nail art i.e. "Weird Facts about Nail Polish". 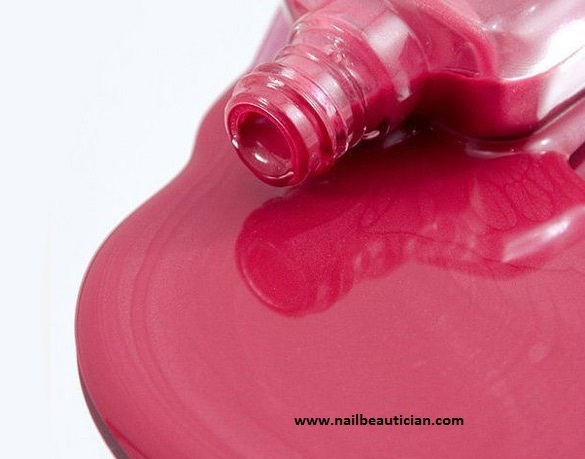 In this article i will describe all the weird facts about nail polish. So, here i start...! First Nail polish was originated as early in 3000 BC, China. beeswax, egg white, gelatin & vegetable dyes do you think all these ingredients can make a nail polish? If you say NO? Than.... Don't worry most of the people say "No" after hearing these ingredients to making a nail polish. But the reality is these ingredients are used in making nail polish (in early times). A modern day nail polish was inspired by automobile paint and later on a complete colorless version of nail polish was introduced in 1916. Revlon become the first established nail polish brand in 1932, at that time cream color was introduced by the company. Yeah it sounds weird but you can get your nail polish from vending machines in airport and malls around the country. First acrylic nail was introduced by a dentist in 1978. You must get shocked by hearing this that the most expensive nail polish costs $250,000. The color named "Black Diamond King". It is made up of 267 carats worth of black diamonds. Yeah! food extract in a nail polish. A brand was recetly launched "kale", which they claim will brighten and smooth your nails. Some brands have the extract of garlic or cucumber in it. So, now paint or taste. 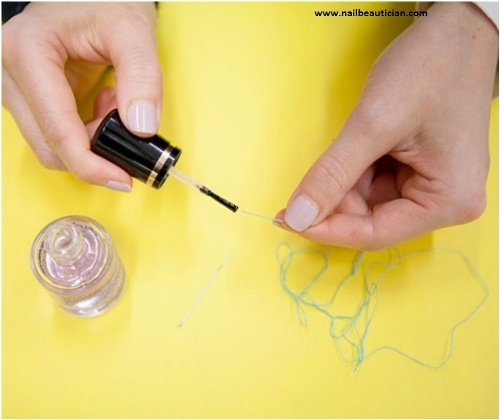 Brush the thread with nail polish, it will harden the thread and you can easily put thread in a needle. Nail polishes must stored in dry and cool places, where no cross of heat and sunlight. It will prevent your nail polish. Cool place does not mean to keep your nail polish in a fridge. If you do that, the crystals inside the nail polish will be destroyed. Copyright@NailBeautician. Simple theme. Powered by Blogger.